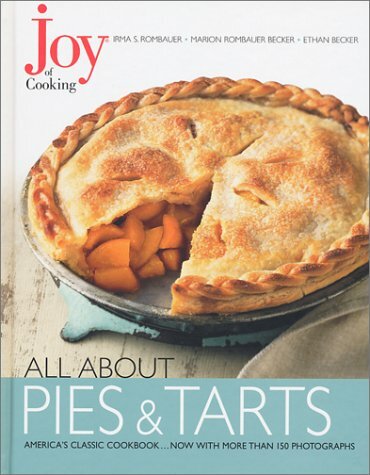 Amazon.com description: Product Description: Offers recipes and how-to guidelines for every major variety, including fruit, single-crust, cream, chiffon, custard, chocolate, and savory pies and tarts, in a collection complemented by easy crust preparation instructions. 50,000 first printing. About: Offers recipes and how-to guidelines for every major variety, including fruit, single-crust, cream, chiffon, custard, chocolate, and savory pies and tarts, in a collection complemented by easy crust preparation instructions.